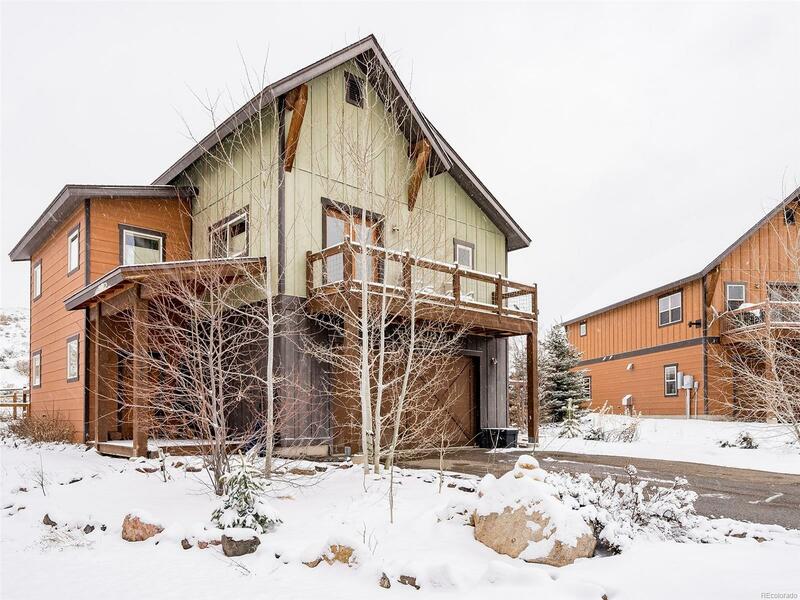 Located in Stagecoach in the Red Hawk Village neighborhood, this 3 bedroom, 2.5 bath single family home is perfect for a buyer who is looking for property outside of town, but still with a sense of community. The main level has a utility closet with washer/dryer, and two bedrooms with one bathroom. The upstairs opens up to vaulted ceilings and a large open floorplan living room and kitchen. The kitchen has a center island with farmhouse sink, concrete countertop and custom dishwasher. The subway tile backsplash and stainless appliances complete the style, and there's plenty of cabinet and counter space. In the living room thereâs a sliding glass door that leads to the deck overlooking the fenced in back yard, with no views of other homes. Finishing off the upper level is a 1/2 bath and a master suite with a large walk-in closet and great bathroom that has a standup shower, soaking tub and double vanity. The master also has a small deck, with views of the old Stagecoach ski area.